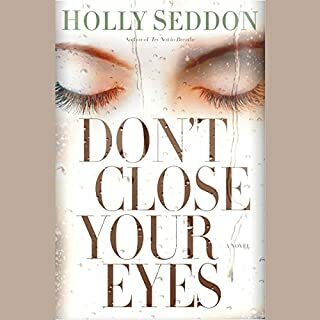 For fans of Gillian Flynn, Laura Lippman, and Paula Hawkins comes Holly Seddon's arresting fiction debut - an engrossing thriller full of shocking twists and turns, richly imagined characters, and gripping psychological suspense. Alex Dale is lost. Destructive habits have cost her a marriage and a journalism career. All she has left is her routine: a morning run until her body aches, then a few hours of forgettable work before the past grabs hold and drags her down. Every day is treading water, every night is drowning. Until Alex discovers Amy Stevenson. Amy Stevenson, who was just another girl from a nearby town until the day she was found unconscious after a merciless assault. Amy Stevenson, who has been in a coma for 15 years, forgotten by the world. Amy Stevenson, who, unbeknownst to her doctors, remains locked inside her body, conscious but paralyzed, reliving the past. Soon Alex's routine includes visiting hours at the hospital, then interviews with the original suspects in the attack. But what starts as a reporter's story becomes a personal obsession. How do you solve a crime when the only witness lived but cannot tell the tale? 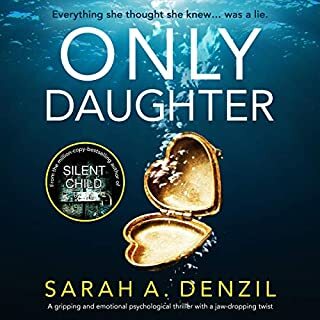 Unable to tear herself away from her attempt to uncover the unspeakable truth, Alex realizes she's not just chasing a story - she's seeking salvation. Fabulous story. Wonderful writing and use of words to tell this story. Great performances! Recommend it to all readers. This book grabbed and held on. The characters voices, as written by Seddon were amazing. The narration held true to the amazing. the flawed characters made the book more real. it has characters you want to love and those you hate and love hating. the phrase 'gripping tale' is overused, but this story really did grip. Definitely worth a credit. or more. Not exactly as suspenseful as I had expected. I found the story hard to follow for the first half of the book and the second half didn't make up for it. I dislike it when an author pulls a villian out of a hat with no foreshadowing or without a dribble of story until bam! the person is guilty. it felt like it began and ended on a pretty blah note. The narrator did a good job. it wasn't a bad book and it wasn't a good book. A very suspenseful story, although the ending was a bit dragged out. The characters are all rather sad, desparate people, especially Alex, a self-distructive alcoholic. Narration was very good. 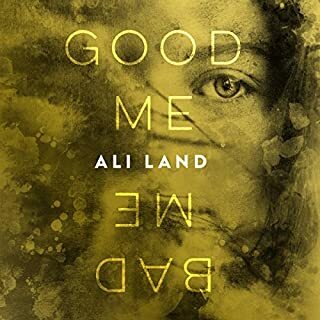 Where does Try Not to Breathe rank among all the audiobooks you’ve listened to so far? Would you recommend Try Not to Breathe to your friends? Why or why not? 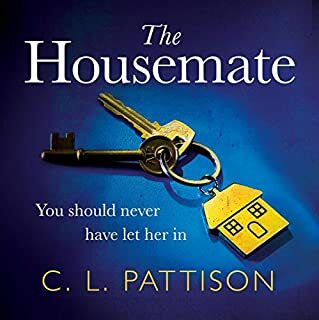 2. the author writes far too many cliffhanger chapter endings, which is a good technique for suspense used sparingly, but towards the end, it was every single chapter, which got annoying. What does Elizabeth Knowelden and Katharine McEwan bring to the story that you wouldn’t experience if you just read the book? They did a fine job, but I would have enjoyed this just as much if I had read it on paper. What a great read! Hopeful, suspenseful. This author writes wonderfully. Never wanted to put it down. She gives her characters real life tragedies and shows us how they get through, even grow. it was a little hard to keep them all straight this time because there are so many but they are also defined by the way they relate to one another. Great debut! This is one I couldn't put down. Loved it start to finish. Intriguing plot with twists you don't expect! Entertaining and great first novel! 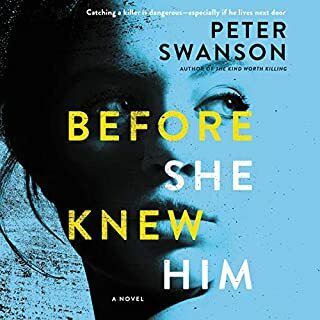 I could not stop listening to this book once I started it. It was such an original story and the narrator brought it to life. It was a good mystery until the end and kept you guessing throughout the book. What an exceptional debut novel. 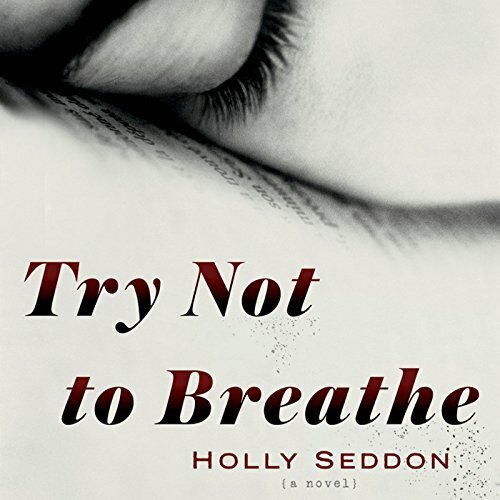 What did you love best about Try Not to Breathe? The storyline was compelling and the flawed characters were realistic. As well, the author skips from different viewpoints and time periods very effectively. I always found it easy to follow. I was on the edge of my seat from the very beginning but was disappointed with the ending (however this did not 'ruin' the book for me). I saw it coming and was hoping the author didn't go that route. I do really like that things were not magically fixed for the various characters at the end. Have you listened to any of Elizabeth Knowelden and Katharine McEwan ’s other performances before? How does this one compare? No but their performances were some of the best I have heard. The narration for Amy really made me feel her innocence, confusion and desperation. The narration for Alex was also a perfect fit. Outstanding. No, but I did find the two female leads to be characters I really felt for and was rooting for. 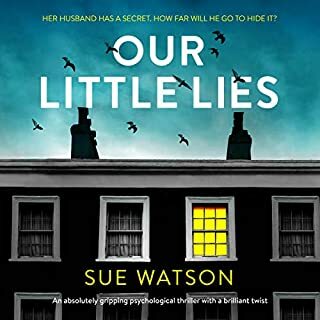 Definitely a good solid psychological suspense that I listened to in 2 days because the suspense element was so very strong. The 'who did it' could have been much better.